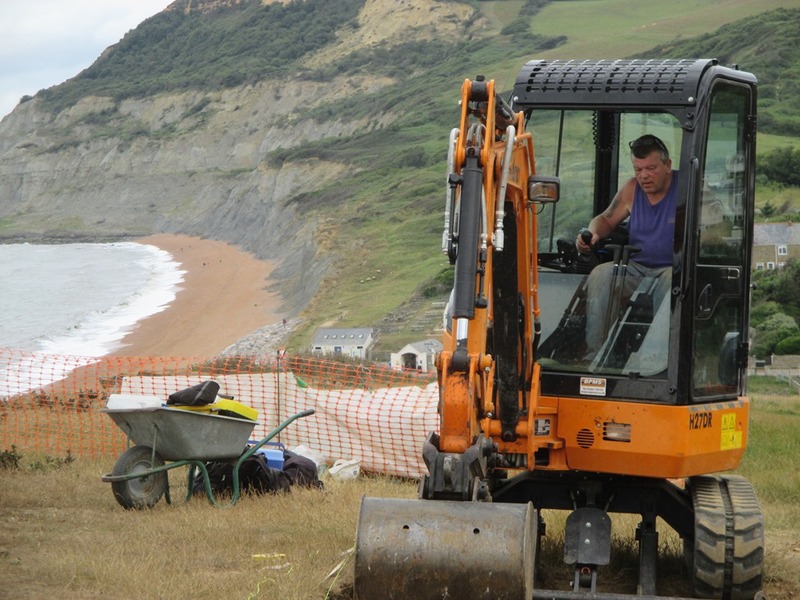 We had excavated quite a few sites along the West Dorset coast so Sally and Sue asked if they could work with us, to join the coastguard, blacksmith, herbalist and ornithologist already recruited. 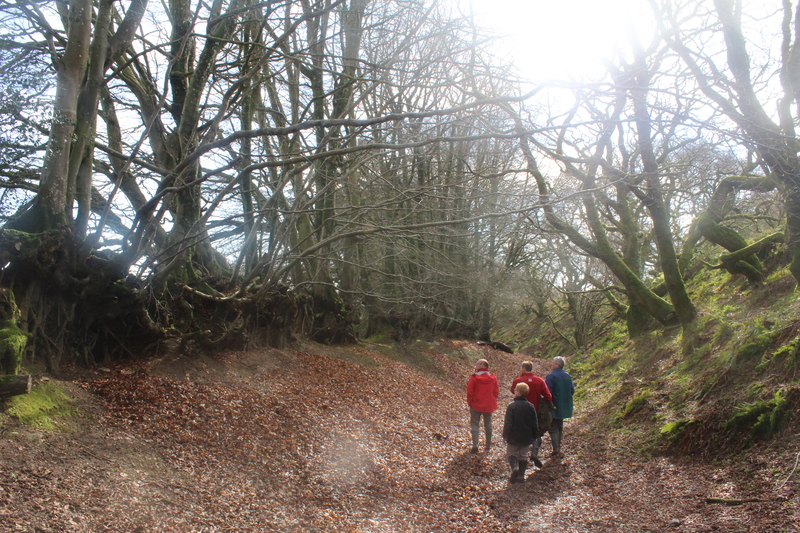 Part of the project involved walking up Golden Cap, talking along the way about what we do as archaeologists and how we feel when working on a site. 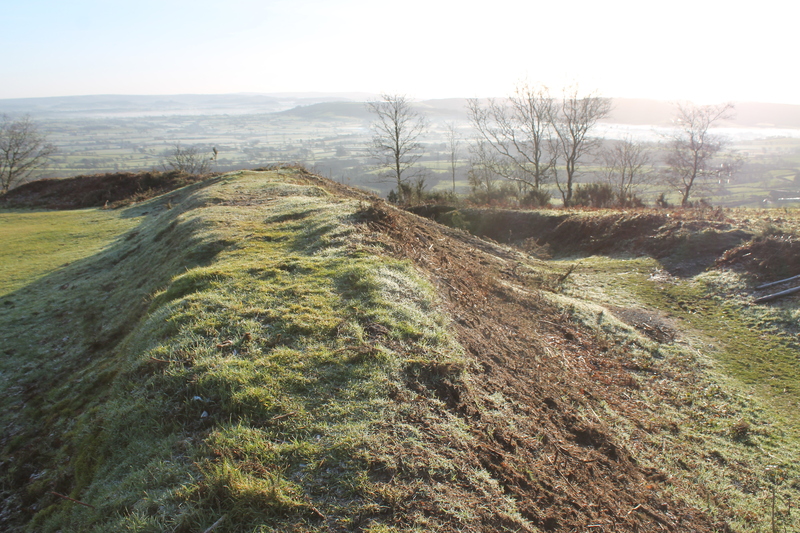 We had excavated the Bronze Age Barrows and Napoleonic signal station right on the top of the hill over a couple of seasons, with an amazing view as we worked. It was hard to remember that the Bronze Age people would not have had the same view, as the coastline would have been about a mile further out to sea. As part of the project we were asked to choose a favourite word or place associated with what we did along the coast of Dorset. 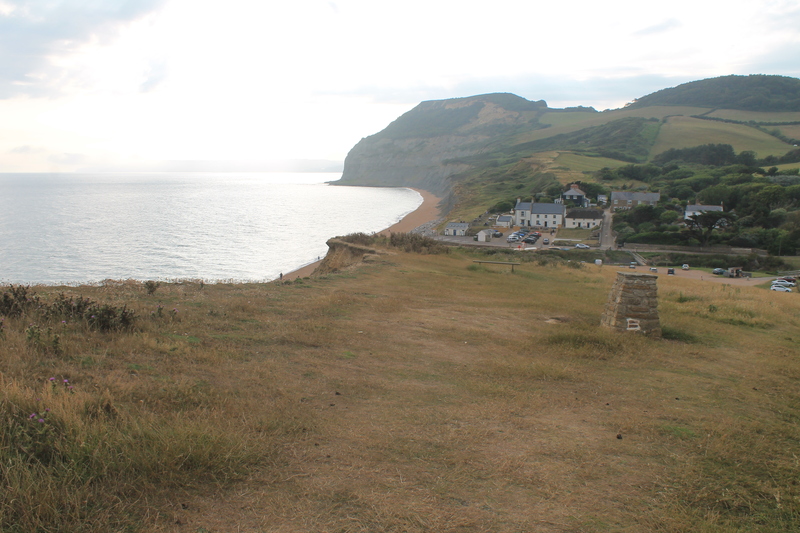 I chose the word prehistoric, as West Dorset, to me, feels prehistoric, with its hill forts, barrows and stone age objects eroding from the cliffs. It was then turned into music, by punching holes into card in the shape of the word and then fed through a musical box mechanism, a magic moment! Last week I looked out and back from Hardy Monument ..in consideration of someone pivotal… now gone. Hardy’s is high up. The highest point of the vast Bronze Age cemetery of the South Dorset Ridgeway. Looking distantly down onto a field… now, with dogs gathering sheep… but then, where my caravan was. A September Sunday afternoon. 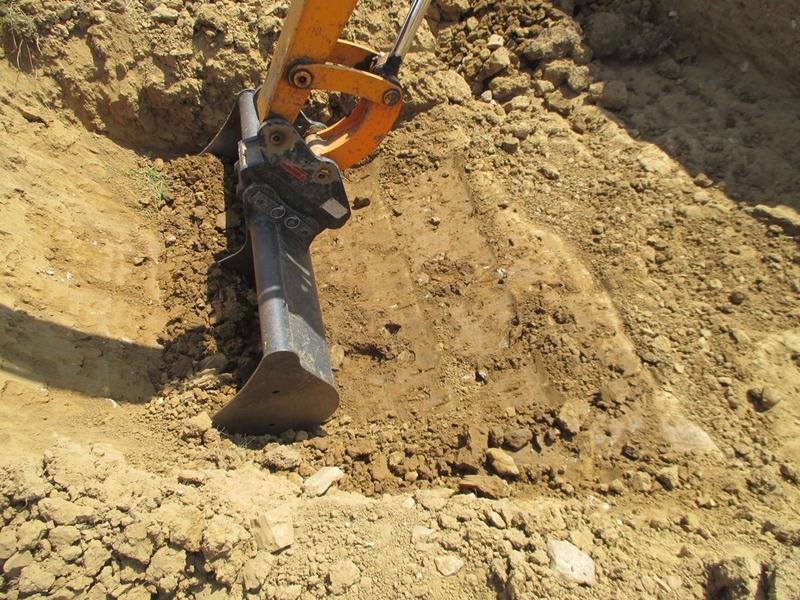 After the excavation…. ordering the artefacts. I was leftover. The vibrant dig community gone. A row of bleached grass rectangles. Just the finds supervisor’s tent against the Loscombe Copse.. two fields away.. and the HQ caravan, a little out of sight, beside the barrow …and the lone tree. HQ was full ..of vegetarian beans, pulses and CND posters ‘do not walk gently…..’ With the blackberries and hazelnuts.. enough to keep me for a while. 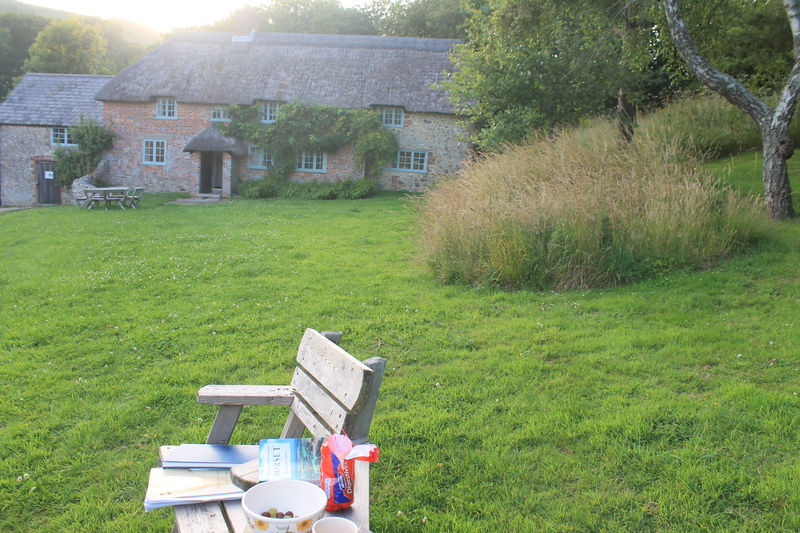 From my window, rural Dorset, and just the tinny sound of Terry Wogan leaking from a battered transistor. All that it could manage. On the table, a plastic bag containing one of the cremations from the barrow. Each had a gift for the dead. One had a bronze dagger, another a stone archer’s wrist guard. But what of this one? The director had asked me to separate the bone from the charcoal. That was my job.. on an isolated peaceful Sunday afternoon. Soon, my survey contract would begin… me and my bicycle, visiting, measuring, researching every Ridgeway barrow… but the winter-let flat and marriage were still 2 weeks away. So… place the contents carefully on the table and gradually separate the black from the grey-white while listening to the hits of 82. As the hours passed…the necklace emerged. The National Trust archaeologists have been to Sutton Hoo. Angus showed us the new visitor access route. How to evoke the wonder of the place from a few low mounds.. ringed with modern distractions? To reveal the very roots of the English…in a nice way. What a story ! 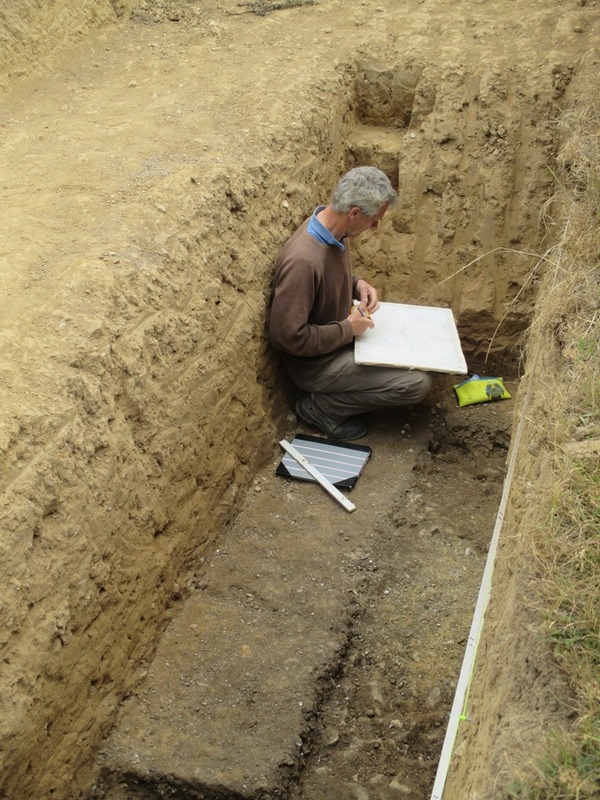 Local skilled archaeologist Basil Brown asked to excavate a mound…. on the utter brink of WWII. Britain’s Tutankhamun, emerging as the tempest clouds of war gathered. A sand long boat. The decayed planks carefully revealed as a beautiful and curving ridged mould, spaced with clinker nails. That long last peaceful summer…it never rained. Amazing gifts for a king, gathered in Suffolk from across the known world. The find so great that Brown is edged out by the posh academics from the BM. A poignant photo in the cafe as he respectfully watches the experts at work. We gather in the wood above the riverside. We imagine the 7th century long boat dragged to its final resting place. Was this Raedwald, Bretwalda, king of the Anglo-Saxon kings? His people gathered around him and the gifts and treasure bestowed in honour of his greatness. Memories and stories. The holy men guided the congregation from life to death and a life beyond his passing. I stand at the stone tower and look back to the caravan… and beside me a large Bronze Age barrow. 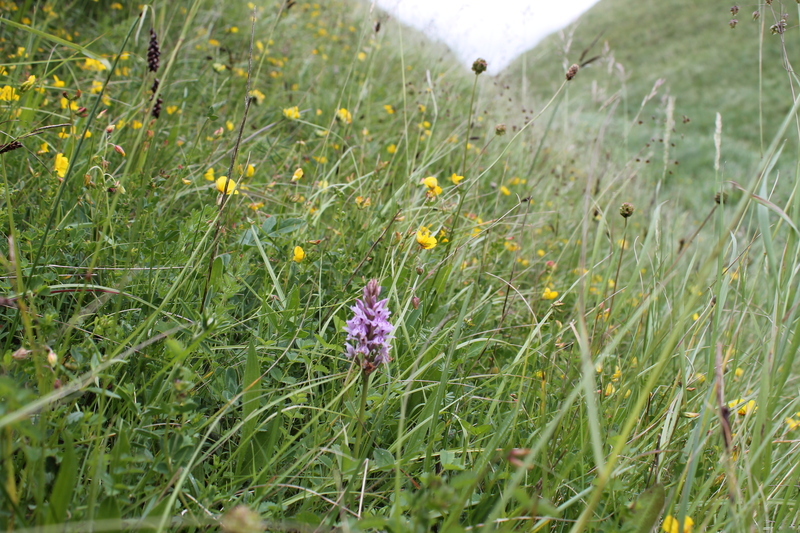 The highest of the 600 or so scattered along the ridge between Dorchester and Weymouth…from Abbotsbury to Poxwell. The plundered burial mound beside the Hardy Monument. and mine in 1982…the amber and shale.. hidden but then emerging from the charcoal. Lozenges and cones, with holes drilled for the long rotted thread. As the sun passed to late afternoon, his mini-van bumps across the field to meet me. I wait to show him. Years before, the newly graduated Weymouth students had followed him to the shores of Poole Harbour and spent the summer easing a Roman pottery workers’ settlement from the stubble. We got food poisoning…the motorbike got a flat. His back gave out… but we tenderly carried him on the finds table to the trench edge. 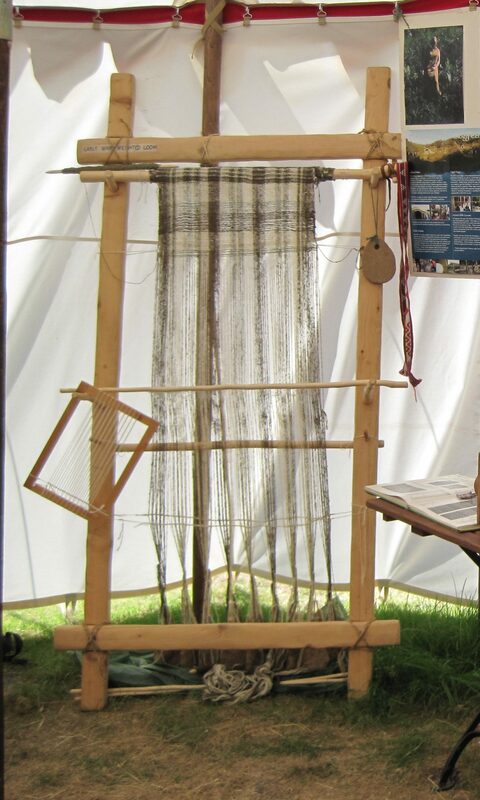 A battle stretcher but with cheesecloth and loons. On a road to Emmaus, at his requiem mass, we gathered to honour him and remembered. 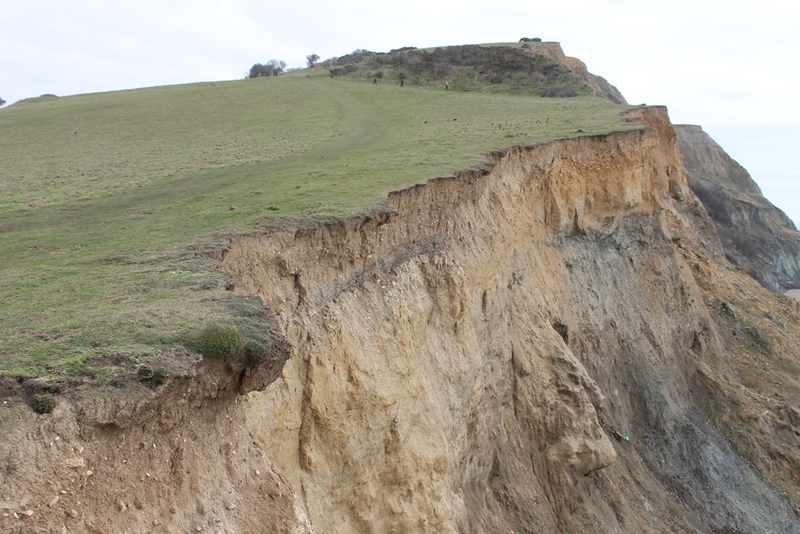 As Martin so eloquently puts it ‘the cliffs are leaking archaeology’ especially in West Dorset, with its soft geology and erosion by the sea. 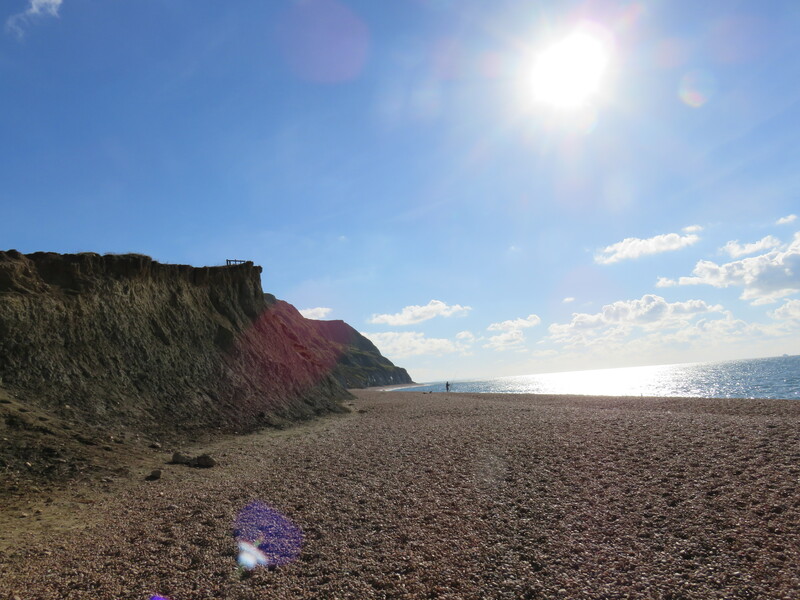 Luckily for us there are keen-eyed locals who walk the same routes and notice changes and strange objects laying on the beach or sticking out of a fresh landslip. 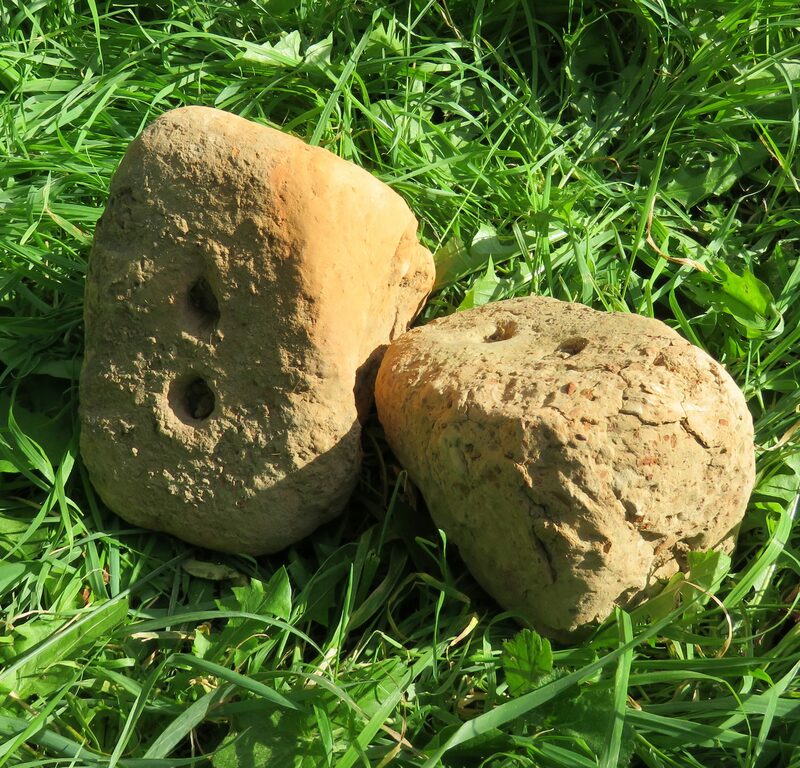 A few weeks ago I found a message on my desk to ring a Mr Bickford who had found what he was sure were parts of a quern stone used for grinding corn and some clay loom weights, near Seatown in West Dorset. 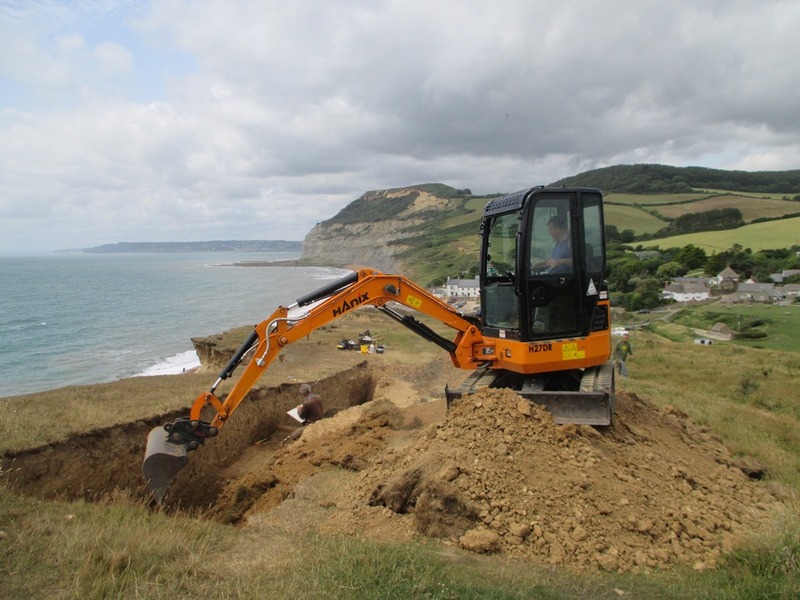 I felt a little jolt of excitement, as regular readers of this blog will recognize Seatown as the place where we excavated a Bronze Age burnt mound and two Iron Age ovens. (see 20/07/2015 burnt mound the story so far). 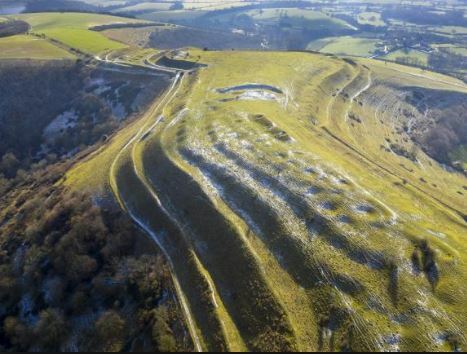 Could we have more evidence to fill out the story of the Iron Age at this site, or was this a new place to investigate further along the cliff? I rang and arranged to pop over to Seatown and look at what he had found and record were they came from. So it was that I headed west on a bright and sunny morning, deep blue sky above and spirits high. I was not disappointed! I met Humphrey in the car park and we walked up the hill to his house, round the corner and into the garden. What I saw took the last of the breath away that the climb up the hill had left me. 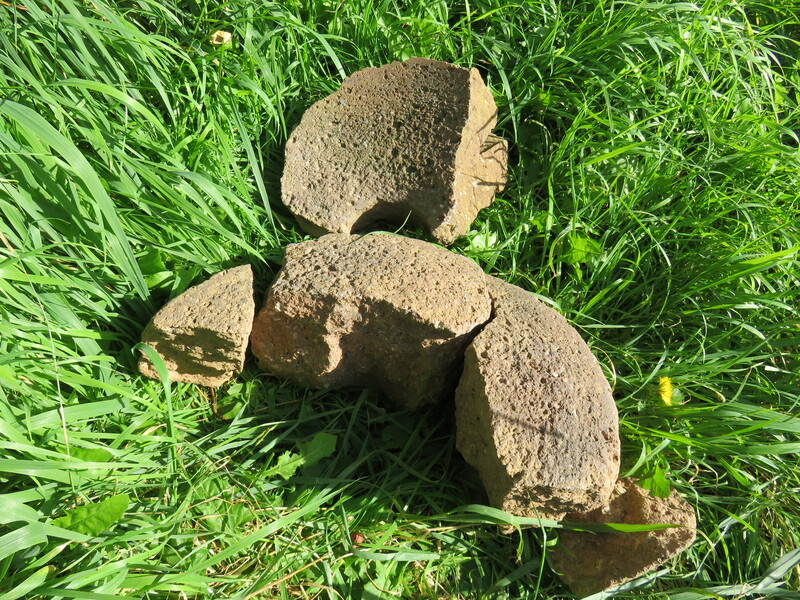 On the garden table were three large pieces of quern, both upper and lower stones, and next to them what looked like one and a half very large triangular clay loom weights! 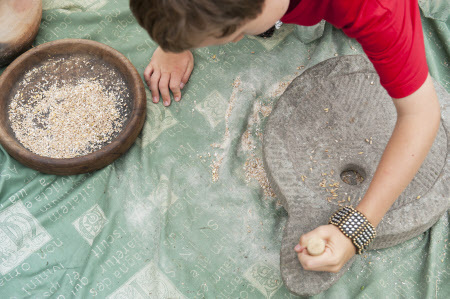 The stone the quern is made from is not local to the immediate area. We have had a few geologists look at images and one suggestion is that it may be continental! But they need to see it in the flesh, so to speak, so they can see every mineral and inclusion. The loom weights? probably something else but what? 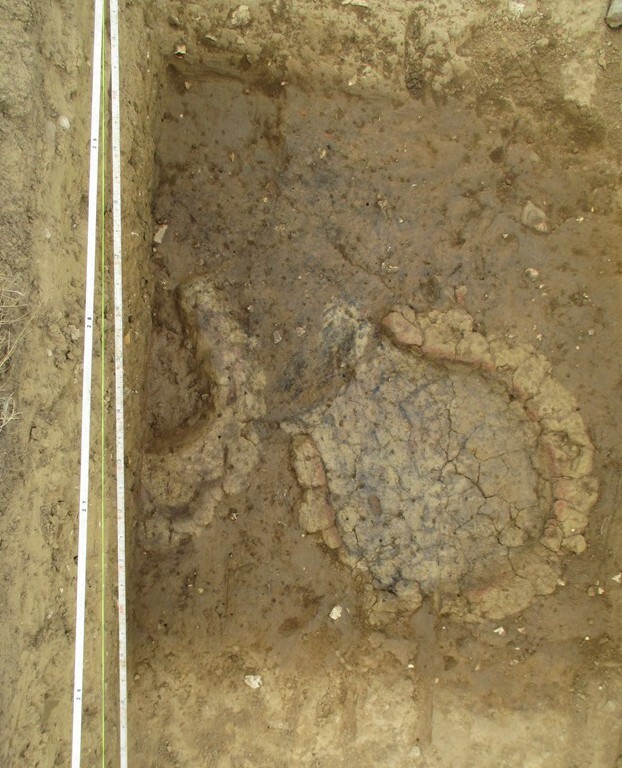 Both the quern and the possible loom weights are probably Iron Age and the small piece of pottery found with them looks very like the Iron Age pottery from the ovens found when excavating the ‘burnt mound’ site nearby. Once again we are on the trail of more information about a site. 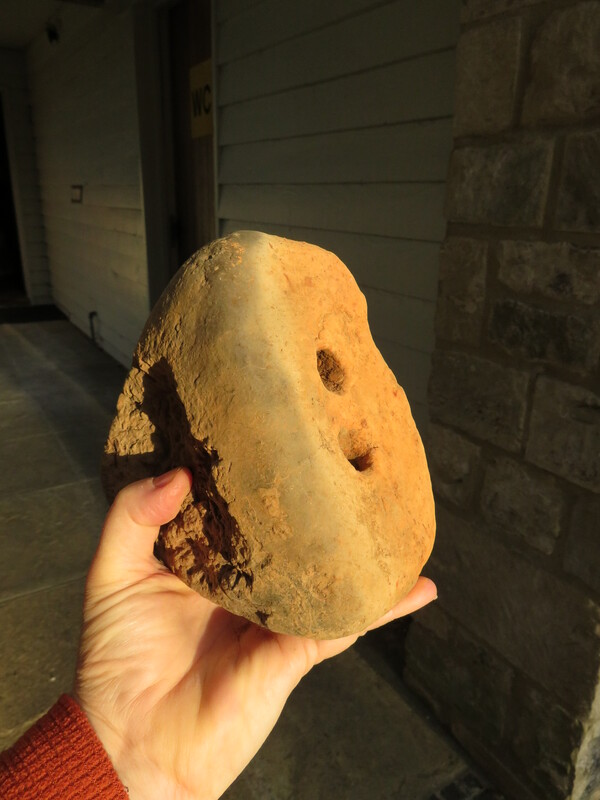 Try to solve the mystery of the weights and it’s a trip to the geologist first to see if we can track down the origin of the quern stone, who knows what stories we can then tell about the people who lived at Seatown over two thousand years ago. We can write down our memories for future generations to read, but we can also hear the past through sound recordings and videos. Today Alex is visiting from The Coastal and Intertidal Zone Archaeological Network (CITiZAN http://www.citizan.org.uk), an organization set up in response to dynamic threats to our island coastal heritage. It is a community archaeology project and actively promotes site recording and long-term monitoring programmes led by volunteers. 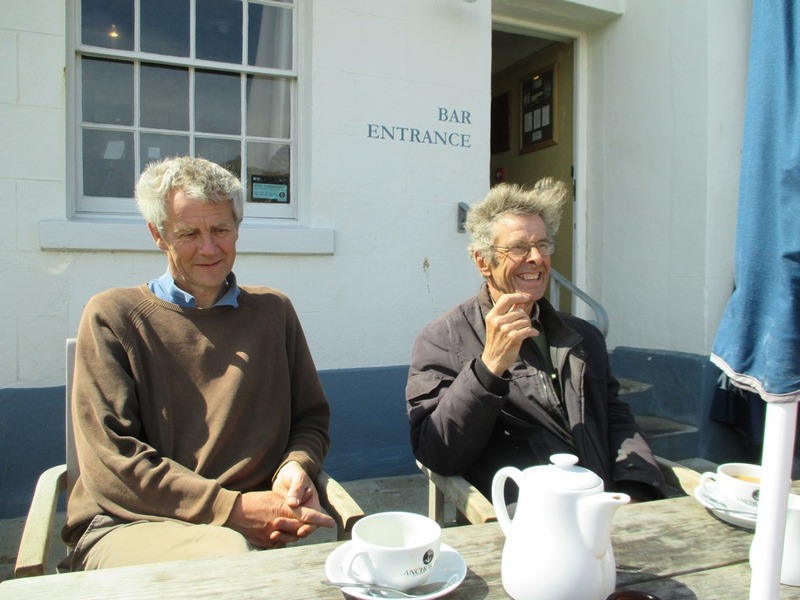 Alex will be soon leading a walk at Studland on the Dorset coast, looking at the WWII sites, and as well as research for the tour she hopes to play snippets from our sound archive of local people talking about what it was like, what they saw and stories of life in Studland during WWII. Studland played an important part in WWII as a testing area for amphibius tanks and fougasse (burning sea). In April 1944 Prime Minister Winston Churchill, King George VI and General Dwight D. Eisenhower (Supreme Commander of the Allied Forces and in charge of the military operation) met at Fort Henry on Redend Point at Studland to watch the combined power of the Allied Forces preparing for D-Day. 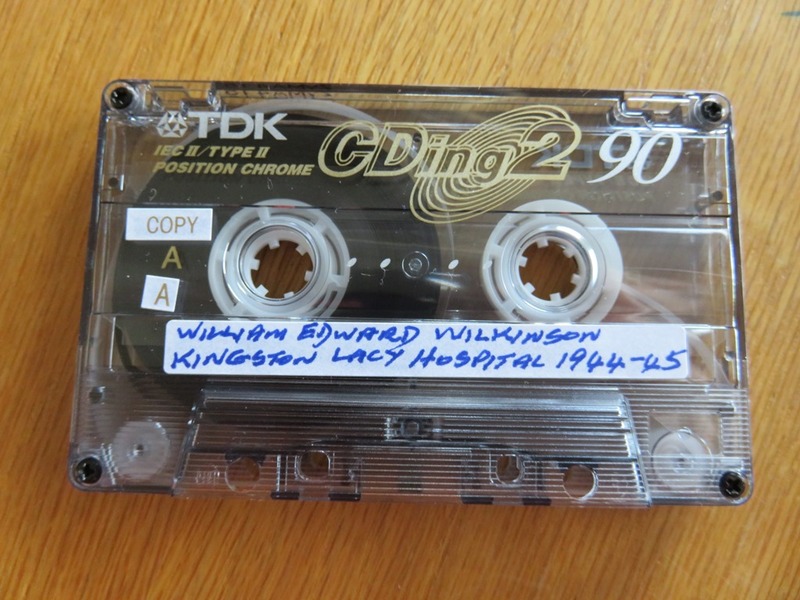 The copies of the small sound archive we hold at the office are all still on original cassette tapes. For younger readers there is a picture below of what one is! Alex has had to come and use our old technology to be able to then record a digitized copy for use in the field. We will need to digitize our archive so the recordings are more accessible. 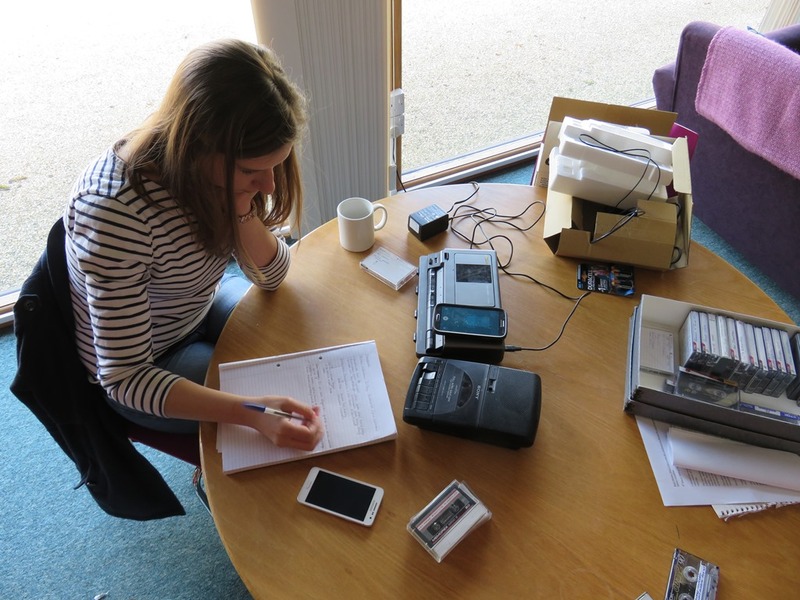 Luckily we have a cassette transcribing machine and a cassette player. The transcriber has extra controls so you can slow the tape down, change the tone and various backspace and counter options. It even has a foot pedal control! 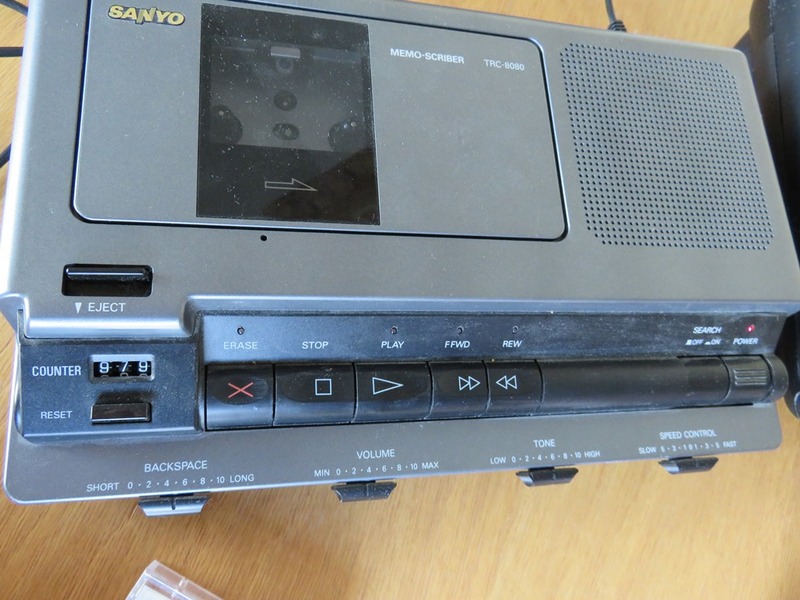 Transcribing machine – a special purpose machine which is used for voice recording processing, so the recording can be written in hard copy form. One day these machines will become part of the archaeological archives. At the moment they are thankfully still available and needed to play the memories from the past. The garden seat at Shedbush Farm, Golden Cap Estate. Time to analyse the evidence and begin to tell the story of the site. The soil is back in the trench and we are left with the drawings, the photographs, the soil samples and the finds. We started with a leaflet on burnt mounds produced by Historic England. It concluded that..nobody really knows what they were constructed for but most are found beside water courses and have a trough beside them. This has led to the idea that stones were first heated on fires and then thrown into the water filled trough. The hot water might then be used to create a sauna or sweat lodge or could be used to steam heat food for feasting perhaps. The hot rocks on cool water caused them to shatter and the waste fragments were regularly cleared from the trough and heaped into a mound beside it. Nice ideas but our location was not beside water. We found that pushing a small container full of water up hill in a wheelbarrow was hard work. The stream flowed in the valley, beside the car park, about 20m down slope from us. There may have been a trough but we did not find it, unless it had dropped off the cliff or lay outside our deep narrow trench. 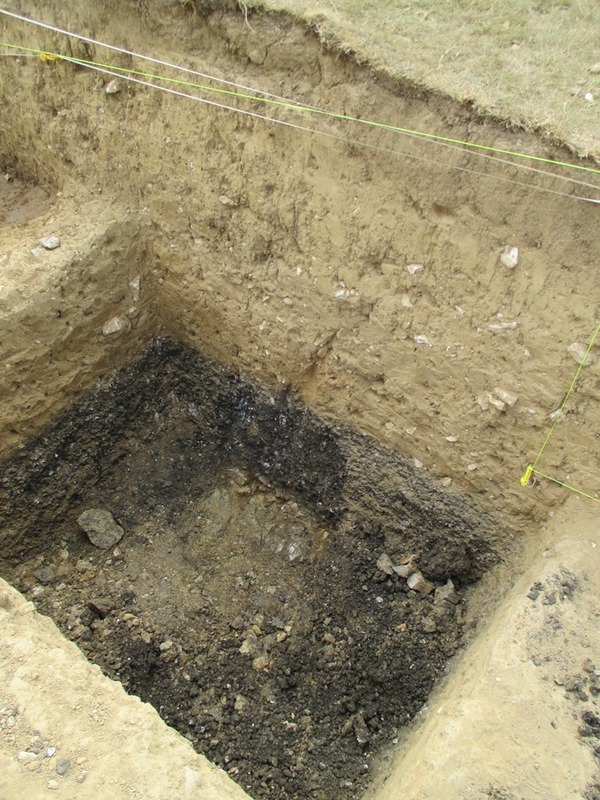 Our mound is made of lots of small blackened pieces of Upper Greensand sandstone and chert mixed with ashy silt and towards the bottom increasing amounts of clay. The product of a lot of work.. collecting and burning the wood and stones to break them down into such as small size. A very windy spot, on a shelf of land half way up Ridge Hill.. now Ridge Cliff because since the Bronze Age the sea has claimed most of it. The mound is the waste product of a process. It looks like an industrial waste heap..if so, what was produced here? Perhaps stone was broken up to create temper to hold pottery together during firing. No pottery found in the mound though. Perhaps metal was worked nearby.. no slag in the heap though. Just stone and charcoal and clay. Perhaps the mound is a pyre. A significant feature never understandable to us because we cannot comprehend the belief system that created it. Too easy and a bit of a cop out but perhaps true. Above the mound we found flint scrapers and a few bits of chunky coarse grained Bronze Age pottery but the C14 analysis of the charcoal will confirm or deny our current estimate of about 1000 BC. Nancy working on one of the Iron Age ovens high above the top of the Bronze Age burnt mound. About 40 generations had come and gone since the final cooling of the burnt mound and the lighting of the oven. 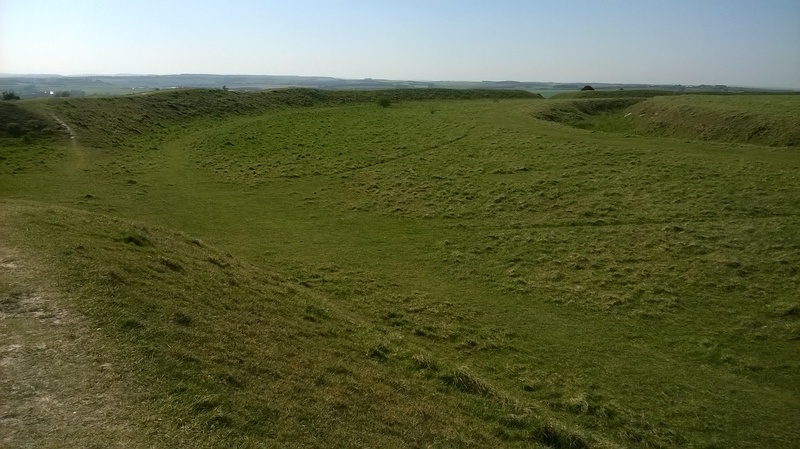 At the west end, the mound was cut by a later ditch and above this we found the two ovens. Not kilns we think now. Their entrances are simple and facing the prevailing wind to the south-west. The pottery in and around them seems to be Late Iron Age, about 2000 years old but apart from the ovens and the cluster of pottery around them, no post-holes or other settlement features were found at this level. 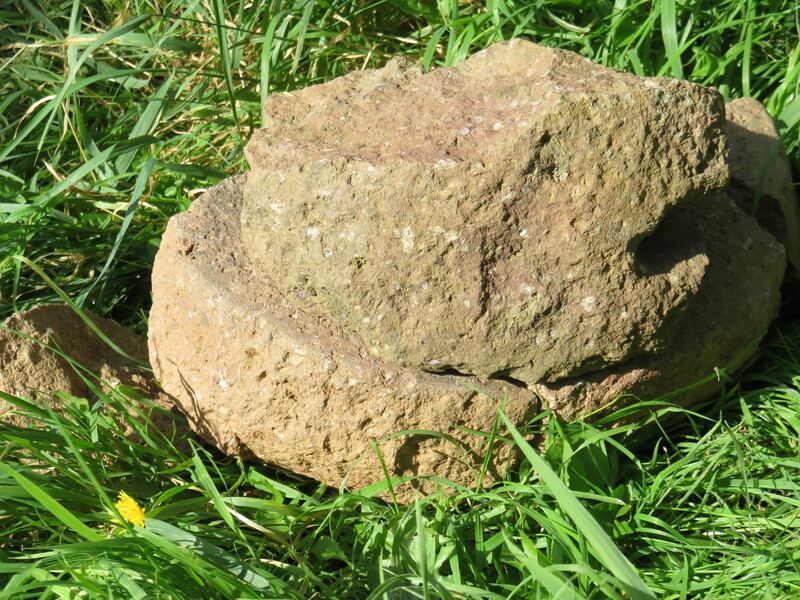 There were a scatter of stone finds which suggest local industry here. The kind of roughly worked flint which is found in Purbeck interpreted as lathe bits to turn shale bracelets. We only found one chunk of shale at Seatown though. This was far from its geological source in Kimmeridge. I came across a cube of green flint. It looked like an exotic mosaic cube when it was first brought up by the mattock. Other fragments were found at the same ovens level and they were obviously selected and brought here for a reason. Ali, the site’s geologist is looking into the source of this rock. Perhaps used and worked to create jewellery? So we need to go away and analyse the samples, look at the soils and the ancient pollens within them examine and compare the finds. It was good to hear Mike talk about the soils when he visited and I could see them change as I drew them. rising up the section beyond the last flint finds. Ploughing each season, helped by gravity dragged the soils down from above. This land was part of Chideock’s open fields in medieval times before the land was enclosed in 1558. About 20cm below the surface we found 17th and 18th century pottery mixed with bits of slate… but by this time the soil was wind-blown sand.. a sign that the cliff was approaching fast and after 3000 years, the end of the burnt mound was nigh..
Evening over Golden Cap beginning the walk back to Seatown from the burnt mound. The final day, nose to the grind stone, no tea break and a late lunch. Due to the efforts of all the diggers Clive only needed to do one scoop to hit the bottom of the burnt mound material, the thin buried soil it was sat on and he top of the natural bedrock. 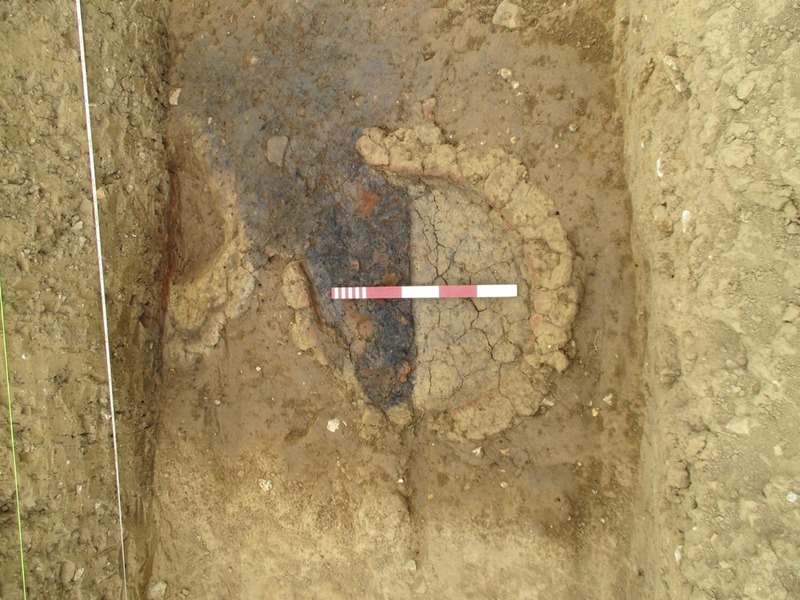 The layer under the mound was very pale grey and silty. We took a sample of this to look for pollen and to look at the soil make up, one of many samples taken through the mound. The kiln/oven finally gave up its form, the charcoal spread out of the opening. 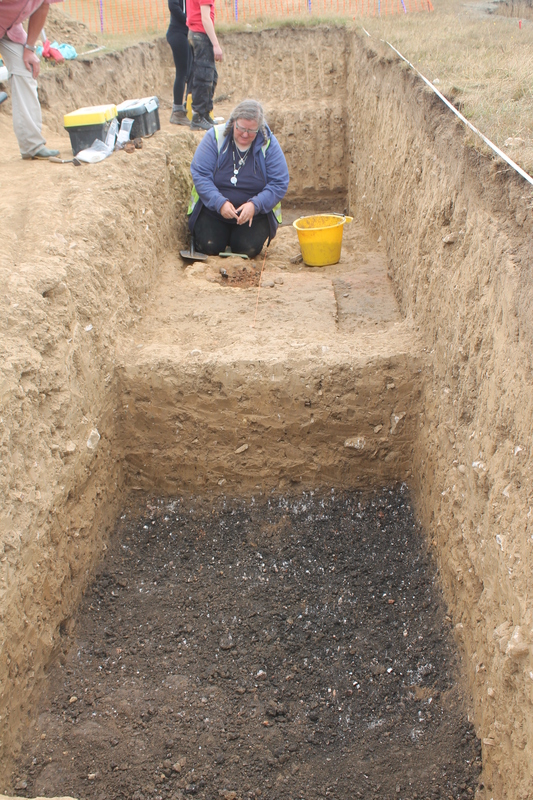 The second kiln/oven had a layer of burnt clay but no charcoal under that layer, just a brown soil, but one side of the opening was very clear to see. Both had an opening facing the same way, west-south-west. 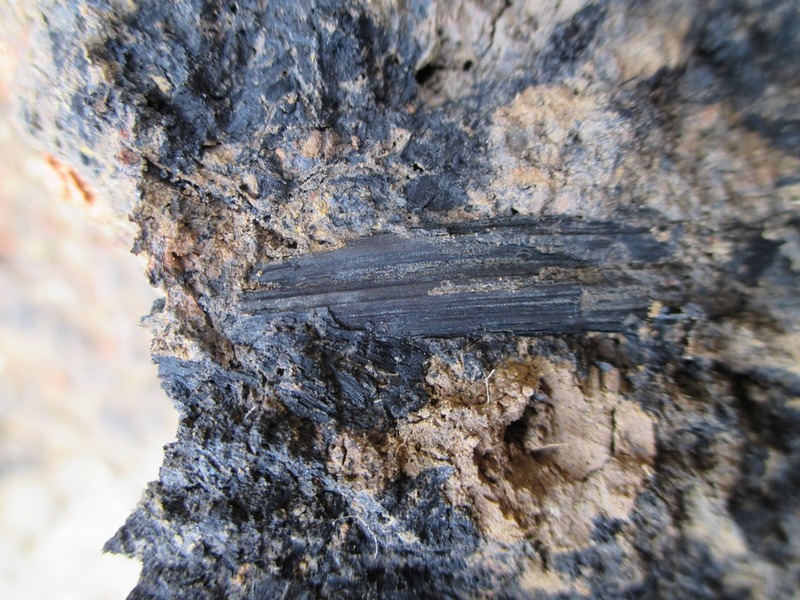 The charcoal was very well preserved as I found earlier. It’s amazing that the structure of the wood is locked by burning and we will be able to see what species it was thousands of years later. 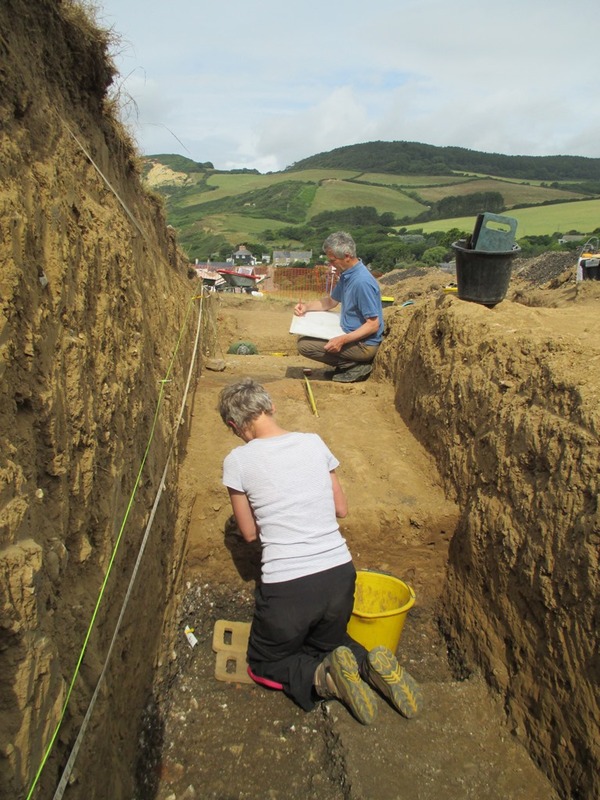 Then the sad moment came for Clive to start filling in the trench, and time for us to eat a sandwich, re-hydrate and have some Women’s Institute lemon drizzle cake provided by Fay. Yummy! We had one last task to do, with Clive happy to help we just dug out the area next to the kiln/oven to see if we had another one to the inland side, alas we didn’t but it was worth a look as we would always have wondered. With one last look at the cliff edge that had been our ‘office’ for two weeks we headed down to pack up the tools and then for a well earned cuppa. We will post updates about all the samples we took and the radiocarbon dates as we get them back from the specialists. The pottery and flints need washing before we send them for identification and dating. So keep watching the blog.